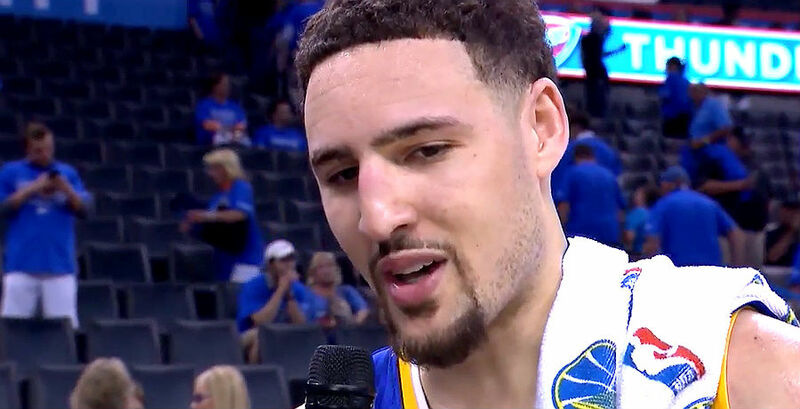 OAKLAND, Calif., Sporting Alert — Klay Thompson scored 41 points to lift the Golden State Warriors to a 121-107 victory over Minnesota Timberwolves in the NBA on Tuesday night. Thompson, who is averaging 22.5 points per game this season, made seven 3-pointers and shot 13-of-24 from the floor on his way to recording his 10th career 40-point game. Stephen Curry added 19 points, nine assists, three steals and two blocks, while Matt Barnes shot 5-of-6 from the field and finished with 12 points and six rebounds for the Warriors (64-14) to push their winning streak to a league-best 12 games. Andre Iguodala chipped in with 11 points for Golden State, which shot 52.4-percent and had 33 assists on 44 made field goals. Shabazz Muhammad was the main contributor for the Timberwolves (31-46) with a double-double of 24 points and 11 rebounds in 32 minutes off the bench. Andrew Wiggins ended with 24 points for Minnesota and Karl Anthony-Towns added 21 points, six rebounds, four assists and two blocks in the defeat. Meanwhile, Golden State could wrap up the Western Conference No. 1 seed on Wednesday night with a win at Phoenix and a San Antonio Spurs’ loss to the Los Angeles Lakers at home. 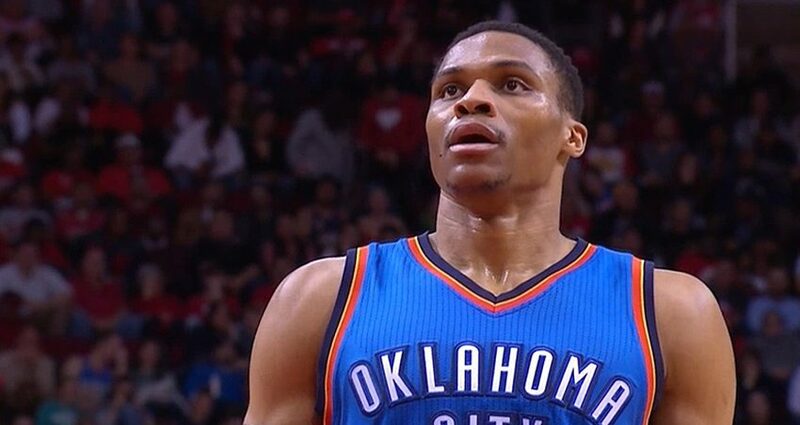 OKLAHOMA CITY — At the Chesapeake Energy Arena, Russell Westbrook recorded his seventh straight triple-double with 12 points, 13 rebounds and 13 assists to help the Oklahoma City Thunder beat the Milwaukee Bucks 110-79 in the NBA on Tuesday night. With his performance, Westbrook, who received MVP chants from the home supporters during the third quarter, matched Oscar Robertson’s single-season record with his 41st triple-double. The athletic Thunder point guard also drew level with Wilt Chamberlain for fourth on the career list with his 78th triple-double. Enes Kanter scored 17 points, while Alex Abrines and Taj Gibson each finished with 12 and Domantas Sabonis had 11 for the Thunder (44-33), who shot 47.6 percent and rebounded from its two-game losing streak. Michael Beasley scored 14 points off the bench for Milwaukee and Giannis Antetokounmpo added 11 points and 10 rebounds in the defeat. No other player for the Bucks (40-38) reached double-digit scoring. Milwaukee dropped its second successive, but stay fifth in the Eastern Conference standings.